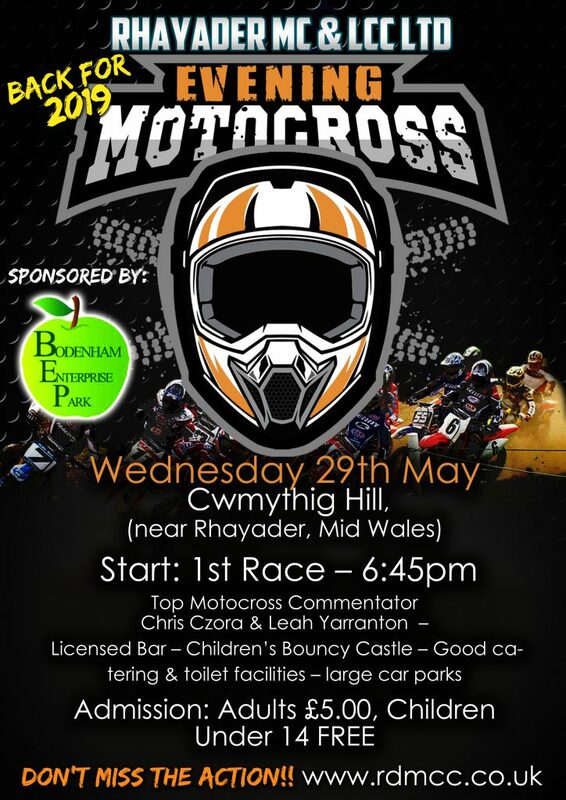 Back by popular demand………..after several years missing from the MX calendar Rhayader MC are bringing this back for 2019! Wednesday Evening 29th May is the date! Back at its height this event regularly attracted well over 4500 spectators plus a host of top GP riders battling it out on the hillside course at Cwmythig. The club has decoded to stick with the popular format for the night, with classes for all abilities of riders. There will be 3 x races on the night per group & a final “Dash for Cash” race. SPECIAL PRICE – if you enter before end of April, save £5 on entry fee! For this duration of time the entry fee is ONLY £30 (plus £15 ACU 1 Event Licence if required).